The Phoenix World Class vertical fire file 2252 FP is a 2 drawer filing cabinet with biometric lock made of ultra lightweight insulation materials. This ensures that it can be used on any floor without the need for support structures. It is fitted with an advanced high security touchscreen fingerprint lock which has an LED display with an alarm. It can be programmed to store up to 128 fingerprints and has a dual locking mechanism using fingerprint and code. Each drawer can be locked and unlocked independently of the other. The water resistant seals offer protection to contents when the cabinet is exposed to water. It was also drop tested to provide protection to contents when dropped from a height of 9.1 meters through burning or collapsing buildings. Foolscap, A4 and A5 files can be accommodated in the drawers with adjustable rails. 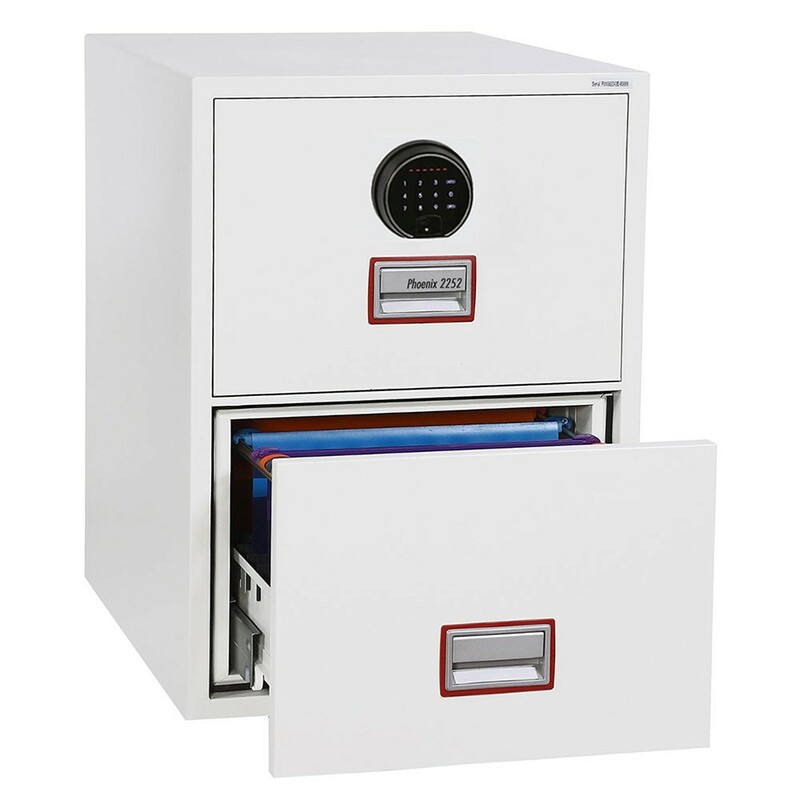 The Phoenix World Class vertical fire file 2252 provides 90 minutes protection for paper documents, 60 minutes to digital data and 60 minutes protection for computer tapes and data in case during a fire.